Guest houseVilla Miluška, thanks to its location in the center of Špindlerův Mlýn, is an ideal starting point for relaxing walks in the surrounding countryside, cycling and more difficult walking tours through the mountains. 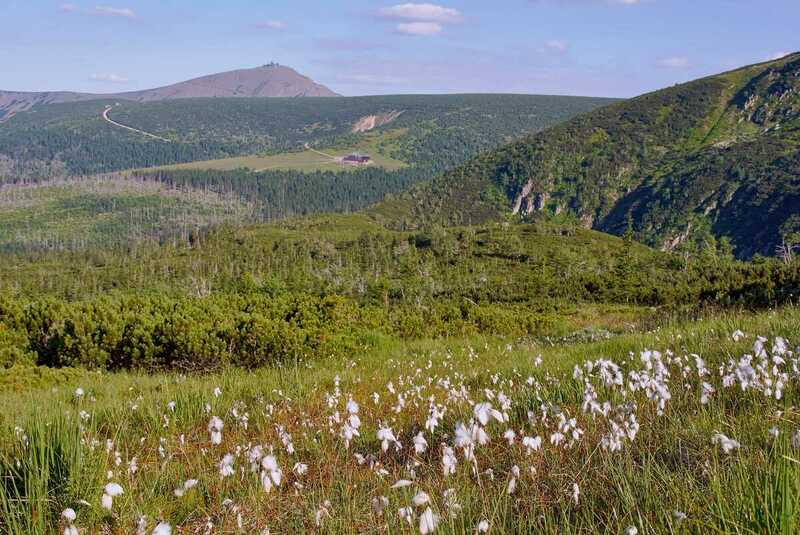 The landscape of the Krkonose National Park stands out for its uniqueness and diversity, the Arctic Alpine Tundra, Nordic peat bogs and other biotopes can be found there. The concerned territory of the Giant Mountains is under protection of the KRNAP Administration since 1963 to preserve and improve its natural environment. It is necessary to adhere to strict rules for nature conservation in the National Park (especially do not step outside the marked trails), nevertheless hiking has a long tradition there. In the Giant Mountains you can find approximately 700 km of tourist marked trails, plus many nature trails. Trip to the Elbe spring is one of the most favorite hiking tours. A place on the Labska louka (Elbe meadow), where the most massive river in the Czech Republic comes from, is also visited for a unique view of the panoramas of the Giant Mountains, on the way there you can also see the highest waterfall in the Czech Republic - Pancavsky. The route leads through a beautiful alpine landscape, however the trail directly from Spindleruv Mlyn is rather for more demanding tourists. Easier and shorter option is to take a cableway to Medvedin and then continue from there either by foot or by bus from Horni Misecky. 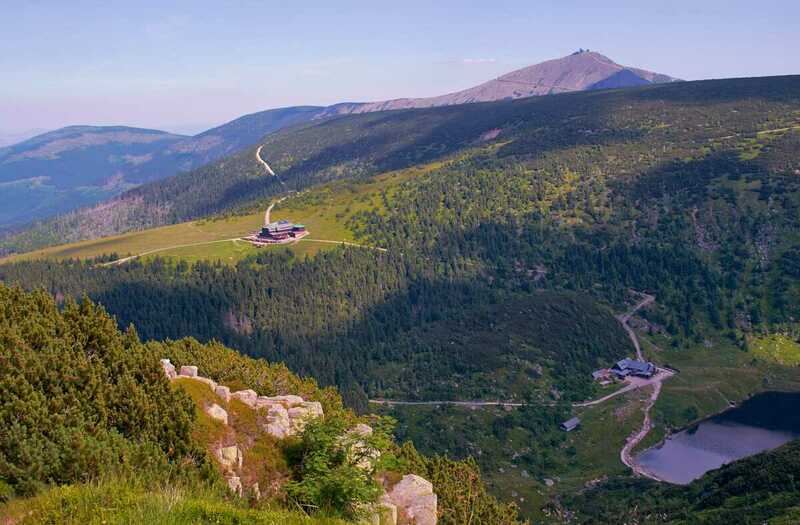 The highest Czech mountain Snezka dominates the Giant Mountains with its 1603 metres above sea level. 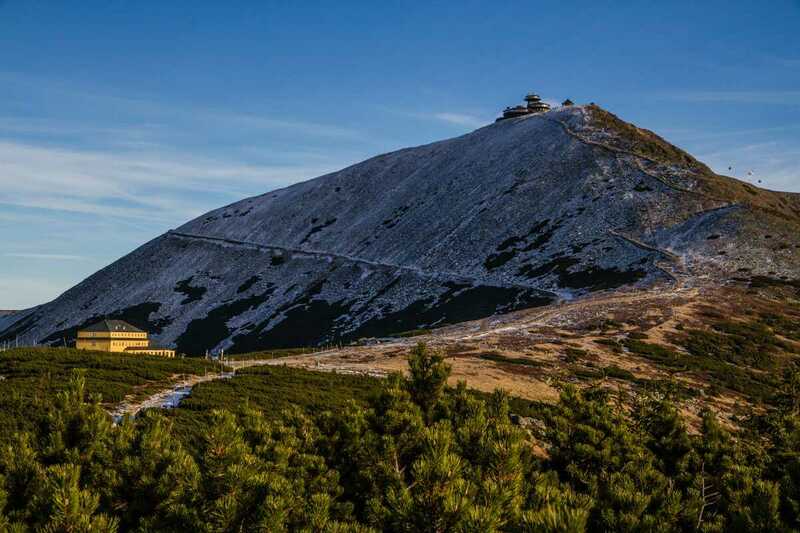 The name of the mountain Snezka was originally created from the connection "snow covered", the average annual temperature reaches to only 0.2 ºC. 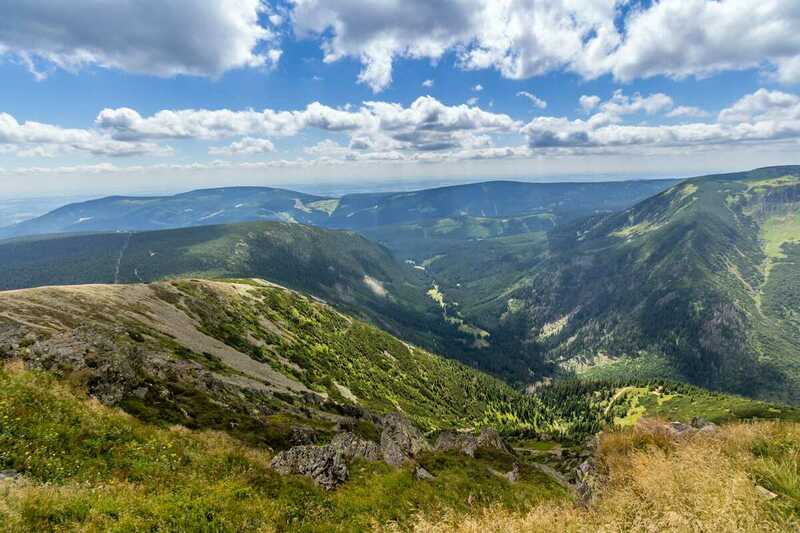 The summit of the mountain offers visitors a breathtaking view of the Czech and Polish countryside and the entire Giant Mountains. The Chapel of St. Vavřince, Polská bouda with a restaurant and the highest placed Czech post office are situated on the top. 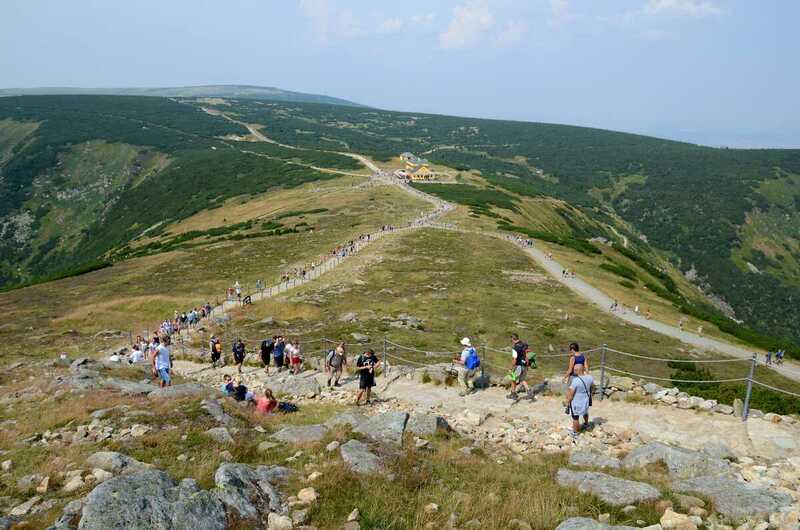 You can climb on the summit of Sněžka by foot along some of the marked hiking trails or use the newly renovated cableway. ZOO Dvur Kralove is open every day and offers visitors a variety of expositions and experiences with animals, for example there is a beak pavilion, an African savannah, a gorilla pavilion, a bird's world, and more. An exceptional experience represents the local African Safari, which has been in operation since 1989 and includes two hundred animals. The main attraction is the herd of African ungulates, most recently also a unique lion safari, where the visitors can go crossed the freely roaming lions. Safari can be passed out in a tourist coach or by own car. The start of the season is on April 29, 2017, the evening safari is in operation from June 2, 2017. The museum is located in the former castle of Harrach's counts. In the museum there are three main expositions: history of the west part of the Giant Mountains, origins and progress of Czech skiing and the gallery block which focuses on the work of Frantisek Kavan. You can also visit the exposition about the life of nobleman Jan Nepomuk Count Harrach or see the Mechanical Nativity of Jachym Metelka. The museum si open all year round. In addition to the permanent expositions you can visit various exhibitions that alternate. In summer months Elbe dam offers the posibility to explore Spindleruv Mlyn from a unique perspective - from the water surface. You can rent here a boat or a Stand Up Paddleboard (so called SUP) and try unconventional ride on a stable surf on the Elbe dam. Boat and SUP rental house is situated on the parking P1 and is open from 10am till 6pm (1.7.-3.9. every day, otherwise on weekends). In Spindleruv Mlyn you can also take part in a range of fun and adventure activities. Try for example adrenalin park Yellow Point where you can enjoy giant swing, trampoline, playground or use rental of scooters. Spindl Bike Park offers downhill trails for mountain bikes in St. Peter, they are suitable for all cyclists who want to spice up their ride with some adrenaline. Water fun can be enjoyed in the AquaPark, which has, in addition to recreational and children's pool, three water slides, wild river, whirlpools, etc. A bobsleigh track is also worth visiting - it is the first track of its kind in the Czech Republic which is 1400 meters long. 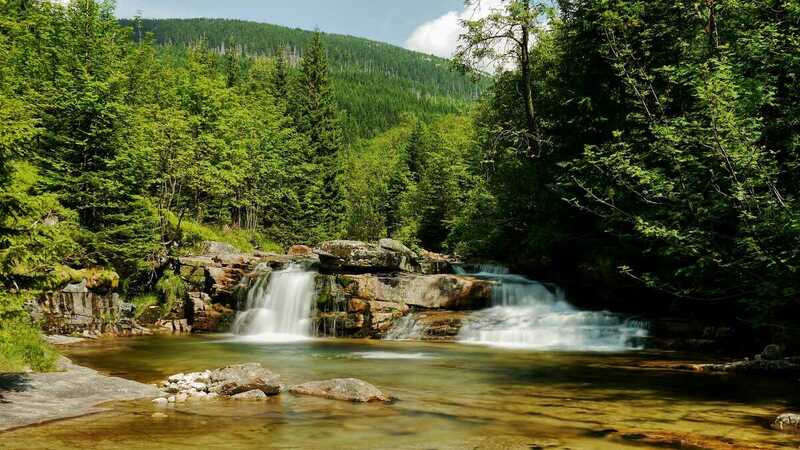 Among the other tourist attractions of the Giant Mountains, where you can go along the marked tourist routes from Spindleruv Mlyn, we can rank Snezne jamy, Spindlerova bouda, Bouda u Bileho Labe with nature trail along Certova strouha (Devil's ditch) in Certuv dul, Lucni bouda, Labska bouda, Labsky waterfall, Pancavsky waterfall or Vrbatova bouda with Mohyla of Hanc and Vrbata. 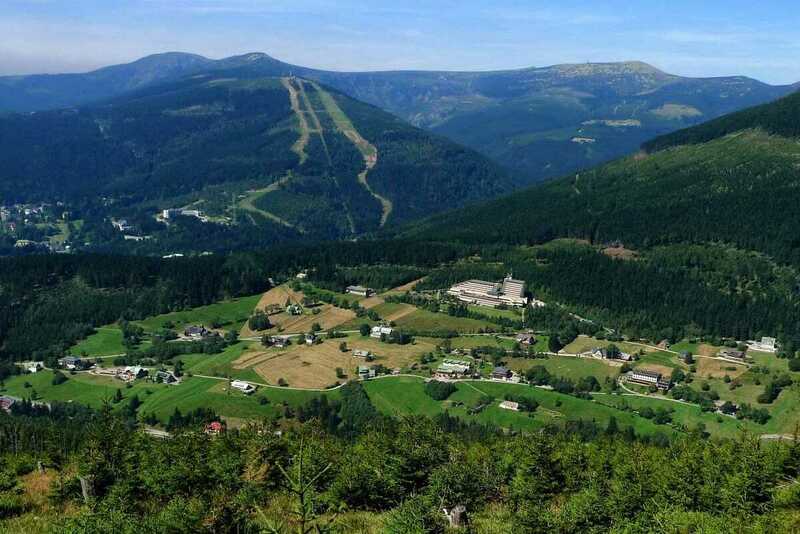 Of course, cyclists are welcome in Špindlerův Mlýn and can take advantage of a number of marked bike trails as well as services for riders such as interconnection of regions by cyclobuses, free carriage of bikes on the cableways or service centers and rentals.